What a lovely brand with lovely products. 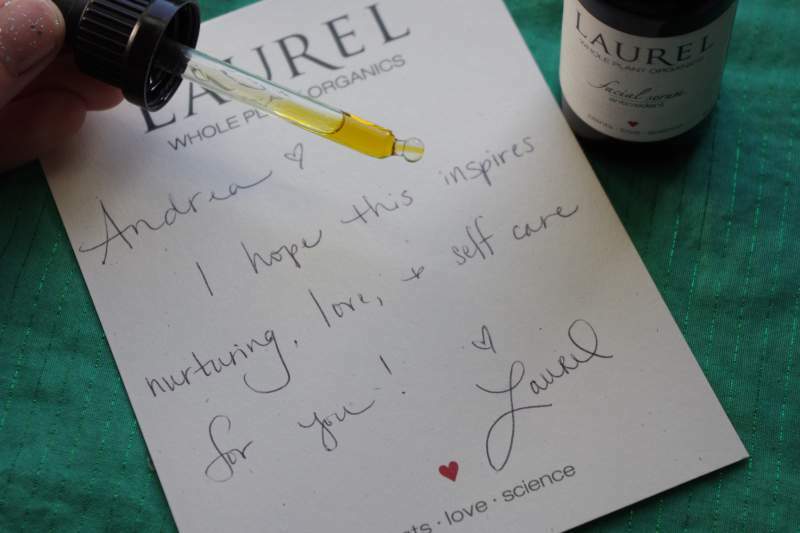 They are a herb and flower based skin care line created with love for the earth, our bodies and the power of plants. The integrity and purity of their ingredients takes precedence in their formulations. Rather than dissecting, diluting and altering, ingredients are unadulterated and pure to retain their healing power. The #1 goal with all of their products is to slow aging using whole plant nourishment. Every serum they create contains plant oils that are known to have a sun protection effect: Red raspberry seed, Cranberry seed and Jojoba. 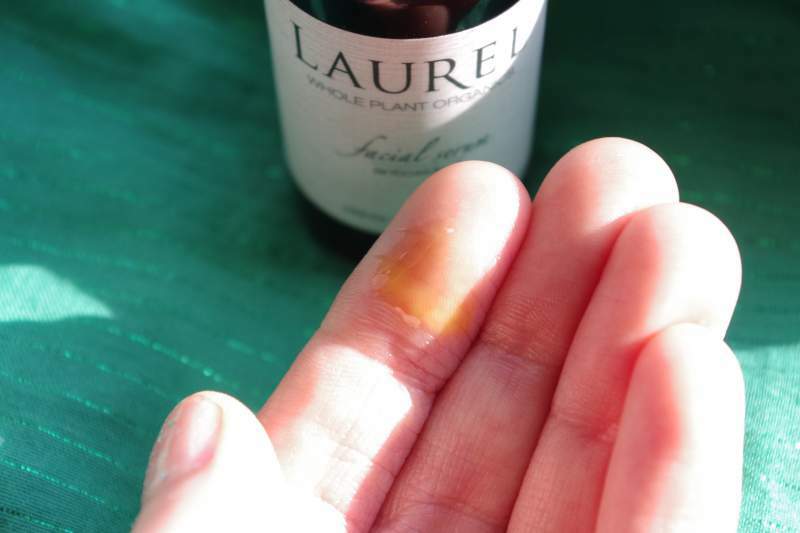 The smell and the color are what impress me first, the main scent I pick up is the Rosehip seed oil, which also gives the serum an orange color. 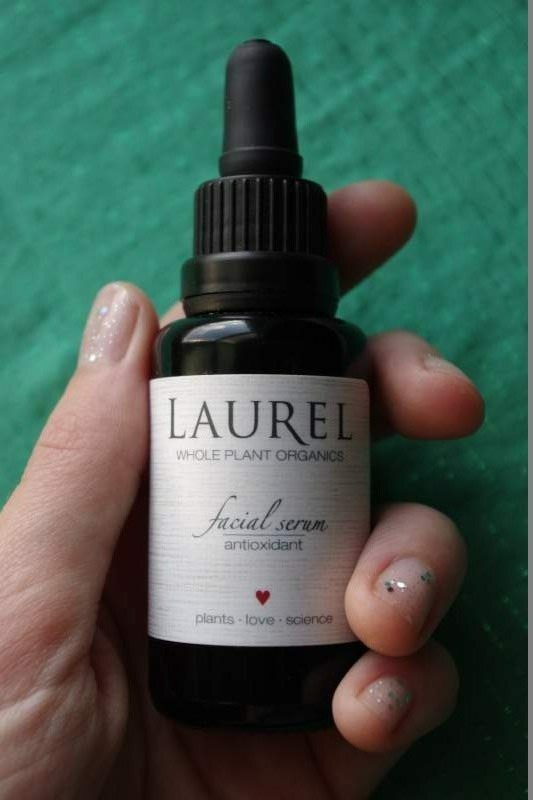 I love that this serum contains sun protector oils such as Red Raspberry seed, Cranberry seed and Jojoba. A light scent, the strongest smell being the Rosehip seed oil. I can smell a hint of Rose and Jasmine. The aroma is like a lightly scented bouquet, mild and sweet, not overpowering. The color is a deep rich orange. It is lovely. 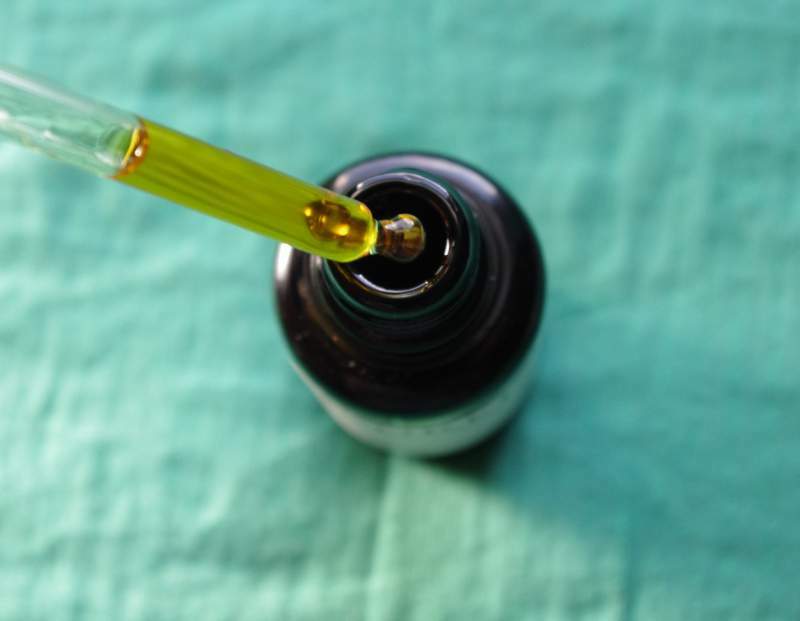 A glass eyedropper makes application easy. This is a facial oil, so it goes on different than a moisturizer, but it isn’t greasy and it absorbs well into my skin. There is no stickiness. I like to apply it to a moist face, it gives a lighter application and uses less product. It wears well under makeup, I have worn it under my ILIA tinted moisturizer and my Vapour Organic Beauty Foundation. All of the ingredients in this serum are potent antioxidants, they work to remove free radicals that lead to skin aging. Here is a bit more info about some of these ingredients. Rosehip Seed Oil: considered a “dry oil”, it soaks well into the skin. Works well on reducing scarring and premature aging. Red Raspberry Seed Oil: has some sun protection properties, 28-50 SPF for UVB rays and 8 SPF for UVA rays. It is an amazing free radical scavenger and antioxidant. Pomegranate Seed Oil: deeply nourishes you skins upper layers as well as being a super antioxidant. Cranberry Seed Oil: this oil is balanced in its omega 3 to omega 6 ratio, making it absorb well, bringing hydration and antioxidants deep into the skin. Calendula: has restorative properties, promotes cellular healing. Gotu Kola: stimulates collagen production, heals damaged cells. All skin types benefit from this serum, it is an excellent moisturizer packed full of anti-aging plant extracts. 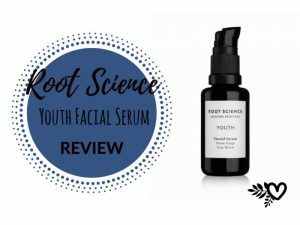 This is an excellent serum, I love the ingredients, they are non-pore clogging and they all pack a super antioxidant punch. I have been using this serum for months and I am really liking it, I even like it better than my Amala treatment oil (plus it is cheaper). I love how soft and nourished my skin feels, and the bottle has lasted me a long time (though it is not the only oil I use). 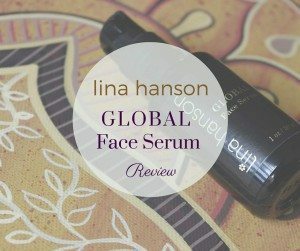 I would recommend this serum to anyone. I think we can all benefit from topical application of antioxidants, at any age! It is better to start young, before you start noticing fine lines. I am 33 and have some lines developing. I really just want my skin to be healthy – I don’t mind aging, it is natural, but if I can keep a youthful glow for longer, I will! I recommend keeping your serum in the fridge, to keep it fresh and protect it from rancidity. Rosehip seed oil can go rancid fast. essential oils may irritate very sensitive skin, but most of us are not that sensitive and for those that are, there are serums without essential oils in them (such as Kypris‘ Prismatic Array Beauty Elixir). 10/10 BABY! This is my go-to serum right now, I am using it almost every day. The brand is exceptional, the ingredients are outstanding, you can’t get much better than this! What is your fave antioxidant product? 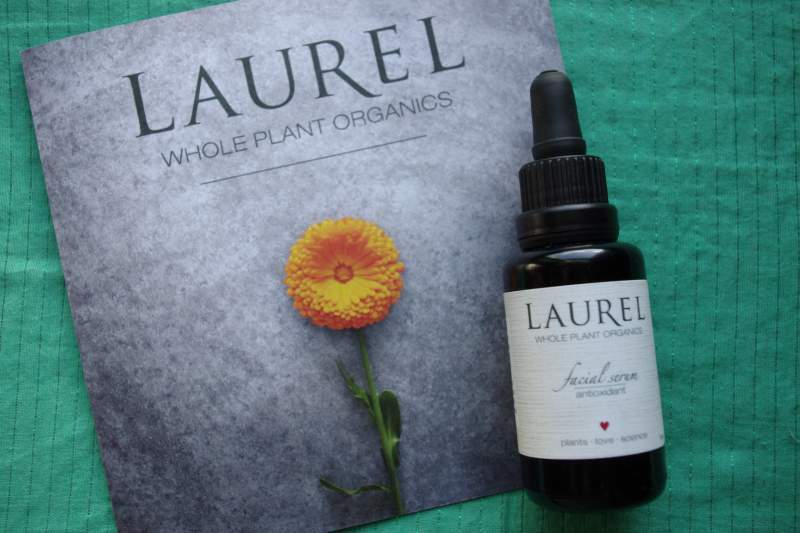 Have you tried any of Laurel WPO’s serums? Let us know in the comments! I have a few questions about the oil. How well does it protect from the sun? Does it make cleaning make-up off easier and is it equally beneficial to men as women? It is hard to say exactly how well this serum protects from the sun. It contains some oils that have been shown to offer some sun protection, such as raspberry seed oil which has a SPF of 28-50 for UVB rays and an SPF of 8 against UVA rays. The sun protection this oil offers varies depending on location grown, harvest time, etc. It is not recommended to replace your sunscreen, but it is nice to know that an oil you are using to moisturize and nourish your skin also helps defend against sun damage. 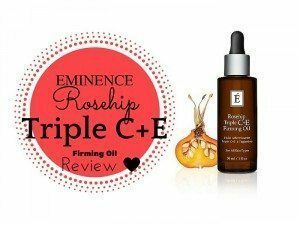 Yes I am sure you could use this oil to remove makeup, though it is pricey and may take too much oil for it to be worth it, better to use a cheaper oil to remove makeup and use this oil in place or underneath your moisturizer. This oil would benefit men just as well as women! The scent may be a little girly but it isn’t too strong and dissipates quickly. 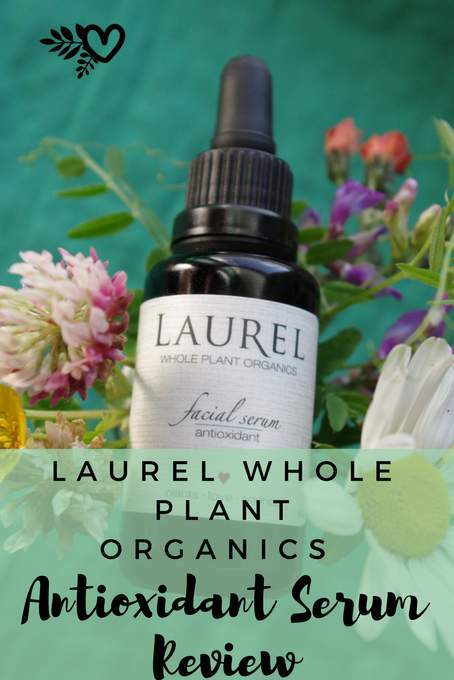 This oil is great because it is packed full of antioxidants that assist your skin in being the healthiest it can be, using it everyday will help your skin feel and look healthier, reducing lines and reversing some of the damage done by being out in the sun. Even though I am nowhere near old, I will consider this Serum. Better to start early for healthy and young skin, right? By the way, does it stay on your face when doing athletic activities? I sweat a lot at the gym and I wanted to know if I could use it on the same day. Yes Ian, this oil will stay pretty well on your face while sweating, I haven’t personally tried it, but this stuff absorbs so well, that I would think it wouldn’t melt too much when you sweat. Putting it on an hour before you work out should be sufficient. It is definitely better to start an anti-aging regime when you are young, before you start noticing wrinkles. It is easier to prevent them than get rid of them once they are there. Yes, this would be an excellent facial oil for you to use 🙂 You can get it online here: NUCIYA They ship internationally, so you should be able to get it delivered to Malaysia.